"Because the madwoman is far more compelling if she is a 'regular' woman," said Orville. "No--don't interrupt. If she is a frothing lunatic, then she becomes the most unrealistic part of Jane Eyre, and the one character that transforms the novel into implausible Gothic fiction. If, however, we treat the madwoman as a sane woman who has been locked up, then we force ourselves to acknowledge what did exist in the Brontë's world: generations of women, who, silent and confined, reined in their passions and lived lives of seclusion. Consider the Brontës themselves. I find it best to respect their creativity rather than attribute their genius to insanity." 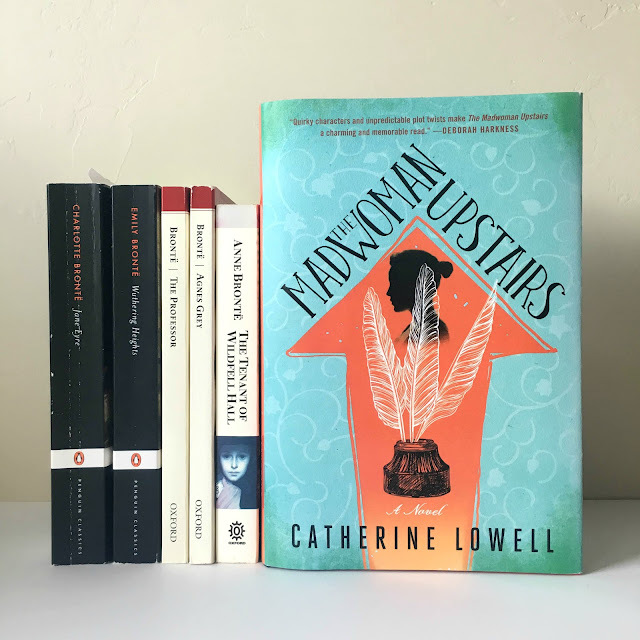 I was very excited when I first read the summary for debut author Catherine Lowell's novel The Madwoman Upstairs. First off, the title immediately draws in the right crowd, a reference to Jane Eyre's Bertha Mason and a play on Gilbert & Gubar's seminal feminist text The Madwoman in the Attic. I have long loved and adored the Brontë sisters and Jane Eyre is a fascinating novel to study. As much as I love the Brontë novels, their lives are equally interesting. Charlotte was smart, bold, and controlling, Emily was a socially awkward, weird genius, and Anne was a quiet fighter with so much to say. Their dad was a complicated, undeniable presence to be reckoned with within their home, their brother Patrick was passionate but a reckless addict, and in addition they lost their sisters and mother. Charlotte, Emily, and Anne lived at Haworth Parsonage with a stone church and cemetery for a front yard and windy moors for a backyard. 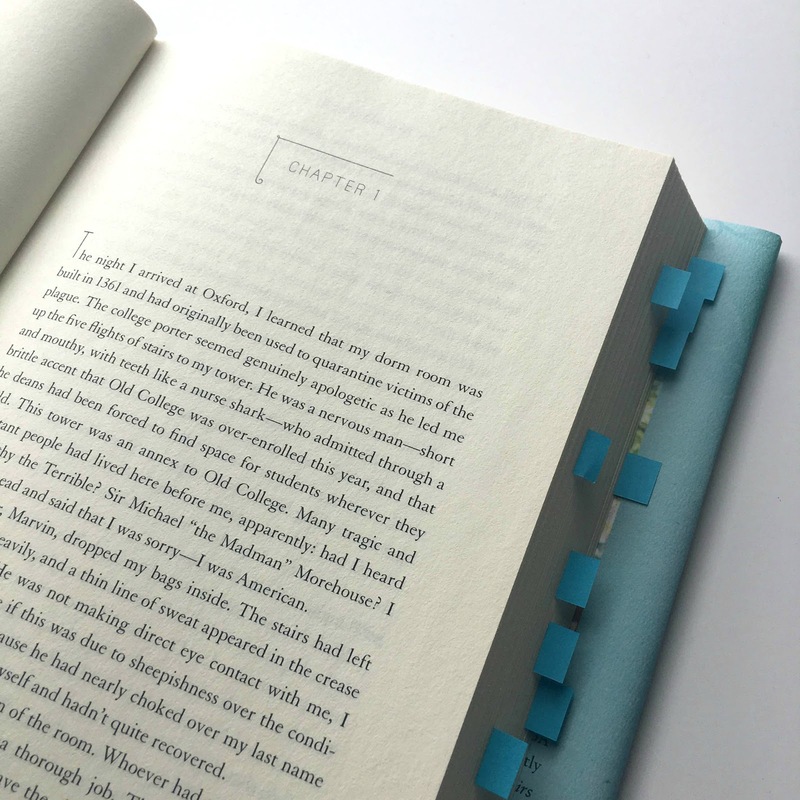 I could talk about them for hours--obviously I do so for a living--and so I dove into the novel's pages anxiously anticipating what Lowell would do with this literary inheritance. The novel begins when the last living descendant of the Brontë line (through a cousin--none of the Brontë siblings had children and Charlotte died while pregnant) attends Oxford University to study literature. Samantha Whipple's legacy precedes her and she is often the subject of public and academic speculation: Did her father secretly house unknown manuscripts? After his death, did Samantha inherit any Brontë artifacts? Can she shed light on any secrets within the Victorian era's most famous sisters? From page one it is clear that Samantha Whipple is a wee bit odd. Strike that: Samantha Whipple is strange, much like the Brontës themselves. Readers can either find Samantha's coarse personality irritating or choose to shake their head at her missteps and enjoy the ride, all at Samantha's expense. I highly recommend the later though at times I wavered. Having been homeschooled and raised by her social-norms-be-damned father, Samantha is socially backwards, unrefined, self-indulged, and suffers from an extreme case of what can only be called "Brontë heir entitlement syndrome." Though rumors buzz throughout her new Oxford community upon her arrival, Samantha does little to blend in or suggest that she is normal and just like everyone else. Instead, Samantha can only see things one way: her way. Though literary studies unendingly break down texts, author's lives, and cultural contexts to search for meaning and debate social impact, Samantha is sure that as the only living person on Earth with the teeniest bit of Brontë blood within her, her interpretations of the Brontës are all that are needed. Furthermore, she loudly professes her strong dislike for their novels and initially refuses to study or discuss their works while at school: "I didn't like people insulting the Brontës' originality. That seemed like a job only I had the right to do. I also didn't like being interrupted with the facts. The Brontë world I had in my own mind was clean and tidy and didn't have a ton of room for the opinion of outsiders." Again, as a reader you can find this attitude off-putting or ridiculous but your choice will alter how you feel about the rest of your reading. Samantha's Oxford instructor, James Timothy Orville III, is faced with the task of attempting to educate a pupil who proclaims no need for further education. They make little progress as they attempt to discuss various authors, literary periods, and styles. Lowell takes a page out of the famous Brontë style for much of the novel's framework that follows. Like Brontë fact and fiction, Samantha and her brooding instructor are often at odds but are yet strangely drawn to one another. Lines between age, class, rank, and social norms are broken as Samantha's awkward encounters bring her closer and closer to her professor and her relationship to the Brontë legacy becomes increasingly Gothic. Eventually, Samantha must confess that she doesn't dislike her ancestors but rather she's a bit of a Brontë addict in recovery. Living in a cold seventeenth-century tower on campus, Samantha's room is decorated with an eerie painting of a governess and one by one her father's personal paperback copies of the Brontë novels thought to have been lost in a fire begin appearing within her bedroom. Samantha encounters a ghostly figure in a darkened stairwell during a power outage, searches a dark well on Oxford campus, travels to Haworth Parsonage to meet the man who feels sure Samantha is hiding her father's secrets, and she begins to realize that she doesn't know the Brontës or her father as she once thought she did. Perhaps this character development is the most interesting element of Lowell's narrative. Knowing a fair amount about Charlotte, Emily, and Anne, it is clear the author has done extensive research while at the same time it is clear her protagonist has not. This contrast makes for a curious read, one I fear might misinform Victorian novices who might mistake Samantha's decrees as fact. Though it is clear book's author understands these historical figures and their texts, Samantha repeatedly does not. In one example, Samantha claims fans of Wuthering Heights mistake Heathcliff and Cathy's relationship for love when she herself fails to understand the difference between romance and passion (to a proper literary scholar, they are worlds apart). Further, when her instructor, James, offers one of the many possible interpretations of the text to shed additional light on the novel (spoiler: that it is possible Heathcliff and Cathy are half-siblings), Samantha takes his word as final and feels her interpretation of the novel is complete. This fixation on resolution and tidy endings is Samantha's greatest downfall. Her journey over the course of the novel is an interesting one, but the novel's conclusion was too tidy. Even at the end of Jane Eyre, Rochester is blind and maimed and there are so many dead bodies, ghosts, and drunkards over the course of Wuthering Heights readers often have trouble keeping them all straight. The Madwoman Upstairs is an enjoyable read for anyone interested in Victorian literature or Charlotte, Emily, and Anne Brontë. The story invites readers to question the lines between fact and fiction and part of the joy of studying the Brontës is to see what their lives and works mean to you. Catherine Lowell has reported her next novel is set during World War II and I look forward to reading it and seeing how she'll continue to play with the historical fiction genre. I read Jane Eyre and Wuthering Heights and didn't particularly care for either one, although this book seems really interesting. I love the idea of this sort-of-historical-fiction, meaning, based in historical fact but brought into current times with a great-cousin-niece, (of some sort?). Such an interesting premise!